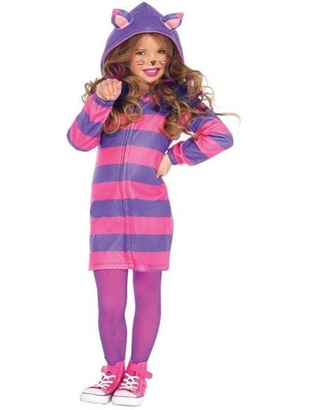 Kids Cozy Cheshire Cat costume includes a pink and purple striped zipper front fleece dress with cat ear hood and a tail. Similar tights may be purchased separately. 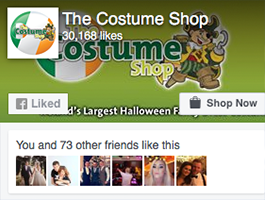 Costume is also available in Large age 10 - 12 years in our Tween section.